My second SK-1 bend. This time around I dispensed with the glut of online tutorials and did some probing of my own. I ended up with one 16-point patch-bay and two 8-point patch-bays, for a total of 32 effects that can be combined in hundreds (if not thousands, I’m not good with the maths) of different configurations. It’s a growling, belching, stuttering, howling, droning purveyor of heinous sound. After winning and receiving the keyboard I took my time opening it up. 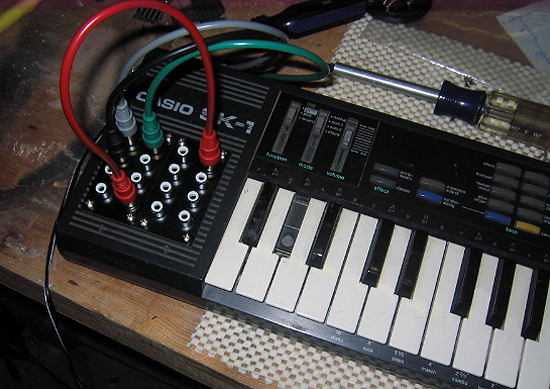 I spent a few minutes just playing with it as a normal keyboard, and sampling noisey nonsense. Just soaking up the SK experience and reminiscing about the SK-5 that was an integral part of my teenage experimental years. With that done, I revisited some SK-1 info I’d culled over the years and did some thinking. I’ve never tried to hide my usual disdain for patch-bays and all their typical uselessness. 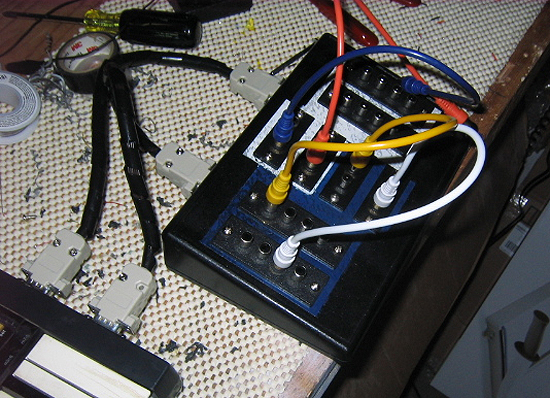 This is one device, though, that really does lend itself to the patch-bay layout. Going back and forth on the issue, I finally decided to go with the patch-bay and found all my initial bending points. After going a little further, and finding twice as many points as I originally expected, I decided to reassess the situation. 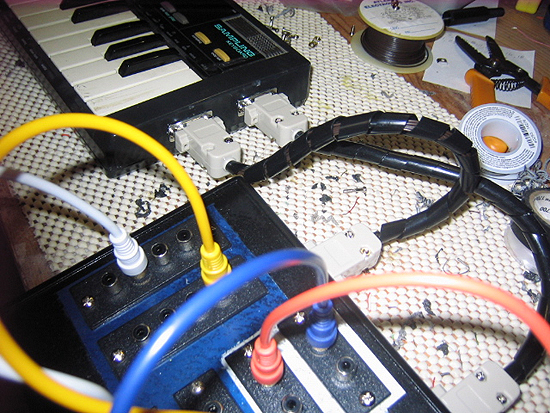 It was at that point that I remembered an RCA patch-bay breakout box that I’d built for another project that, for reasons I can’t recall, never made it off the ground. Some minor modifications later and voila: The SK1 MkII “Minefield”. 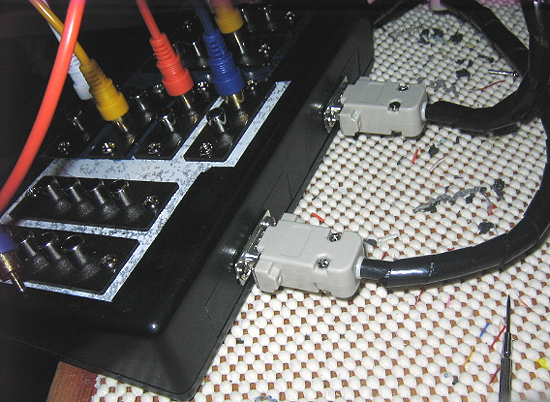 Detail of the integrated patchbay. Detail of the breakout box. D-sub inputs on the breakout box.